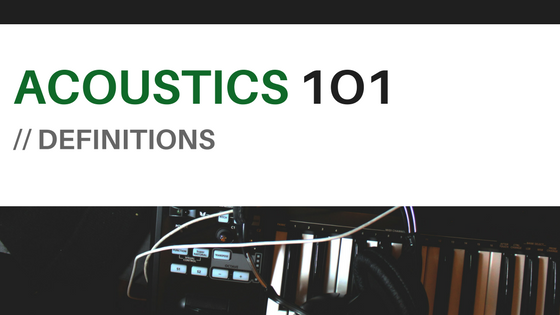 Acoustics 101- Definitions (Part 1) | Simoni Systems, Inc. The wave has frequency therefore it must has what is called wavelength, which is the distance the sound travels in one cycle time. The higher the frequency the shorter the wavelength. These terms are related to the amplitude of the signal. The absolute value of the sound intensity (I) can be described in Watts per square meter or W/m, and 10 log (relative intensities) is the sound level in dB. In sound application the reference value is 20 Pa for sound pressure or 10E-12 W/m for sound intensity. 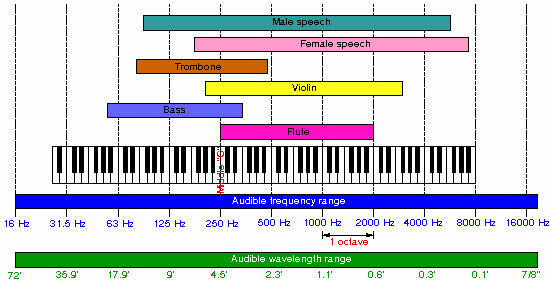 The sound level of the reference values is 0 dB. This level represents the human threshold of hearing (the lowest level of sound that one can perceive). The threshold of pain or feeling (the level that causes pain in the ears) is about 120 dB. Decibel values cannot be added to obtain the value of the resulting sound. Instead the combined levels are turned into intensities, added together and then turned back into decibel values. Sound absorption coefficient describes the efficiency of the material or the surface to absorb sound. The ratio between the absorbed sound energy and the incident energy is the sound absorption coefficient. Noise reduction coefficient NRC is the arithmetic average, rounded off to the nearest multiple of 0.05, of the sound absorption coefficients at 250, 500, 1000, and 2000 Hz. Acoustical simulation is a technique that assists the acoustical consultants in the evaluation of the room acoustics or the performance of the sound systems. In addition to these studies, acoustical simulation can simulate the sound as it would be heard after the project is built. This simulation is called auralization. The physical data of the room is entered into the acoustical program, or the AutoCAD file can be used to transfer the data. The data entry includes surface materials, background noise, and the seating layout. Several acoustical simulation programs are in use, the popular programs are EASE and CATT. Some of the acoustical factors that can be studied in such programs are: reverberation time, intelligibility, echo, sound levels over the seating areas, and many othrers. The animation shows ray tracing from a loudspeaker in a simple room.